I'm a Graphic Designer looking for creative ways to produce amazing pieces of art. Haha ! 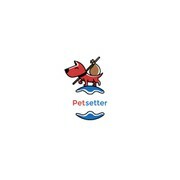 "Garm designed a catchy logo for our pet product and caught the message and theme right off the bad. We requested many small revisions/additions and Garm provided them without question and a great deal of interest and enthusiasm. We were very pleased w..."